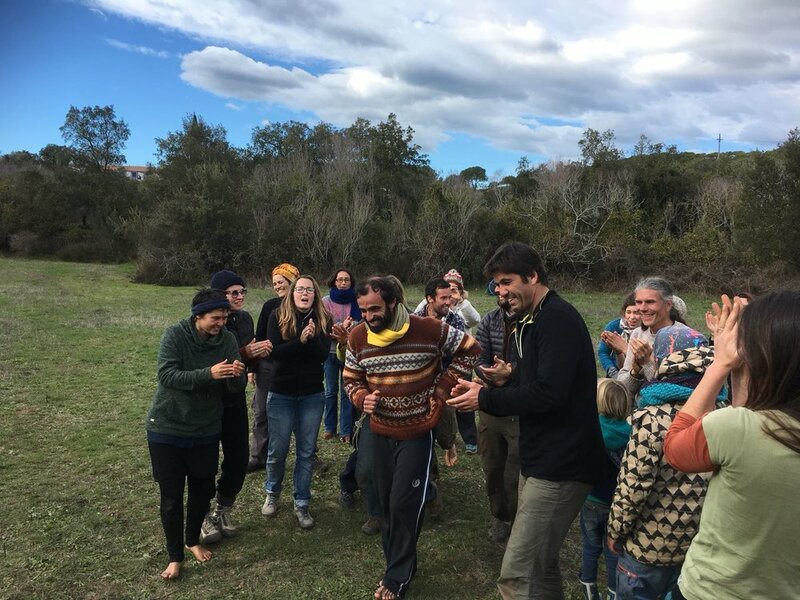 This is primarily a hands-on, experiential course and is based on nature connection, practices and activities. The program will introduce earth education, nature awareness, creative interpretation, bushcraft, sensory awareness and narrative skills. The program has been created for those on a personal and professional development path. It may be at the point of a career change or after graduating that the need for practical experience and mentoring in the field is required. To align you with your goals, connect you deeply with nature and offer you tools and experience that will translate effectively into everyday life. The program is geared toward teachers, educators, outdoor instructors, rangers, forest school leaders, play-workers, and in more general terms, those who are change-agents, community leaders, people in personal or professional transition. For those who long a more fulfillment in their lives and a deeper impact in the world. · Various assignments and practices associated with developing nature connection and integrated learning. Introduction to outdoor survival basic skills - medicine wheel, orientation, firecraft, campcraft skills, introduction to core routines. Night walk. Assignments & practices. Bushcraft skills – firecraft, shelter-building, cutting tools, coppicing, woodcraft, wild foods, campfire cookery. Assignments & practices. Creative interpretation. Nature games. Earth Education. Environmental storytelling. Animating nature. Narrative techniques. Assignments and practices. Sensory awareness. Tracking skills. Wildlife observation. Bird language. Night activity.Medicine walk. Assignments and practices. Students work with "Into the Wild" staff to gain experience assisting on courses and camps.. By negotiation there is an option to work with similar external organisations. A minimum of 3 days is required. 4 sessions of one-to-one focused inquiry to support the participant in how they reflect on the course, develop their emotional literacy, their professional and personal aspirations and clarify next steps. The evaluation is based on the student's practical performances on various assignments and practices associated with developing nature connection and integrated learning. Group support with online sessions. Help each other to connect ourselves with the environment and discover our true nature. Each module runs for 3 days from Friday - Monday and includes an evening meal. You must provide your own tent /sleeping bag and food for breakfast / and lunch. You can book from 1 to 6 modules , each module costing 350 Euros, if you book all 6 modules the total price will be discounted down to 1,800 Euros. You must pay a 30% deposit of the total cost upon application(paid by direct payment to) and the remainder to be paid upon arrival of each module. A diploma will be awarded when all 6 modules are completed.